One of the many things that kept being repeated at VidCon was the importance of consistent branding on social media. Daily Grace (a YouTuber) mentioned in a panel how her original Twitter handle was 'Ecarg' (Grace spelled backwards). It was bad idea because how were people going to find her? Up until now the only social media site with a different handle was my Facebook. That is now changed! I have made a new Facebook page! 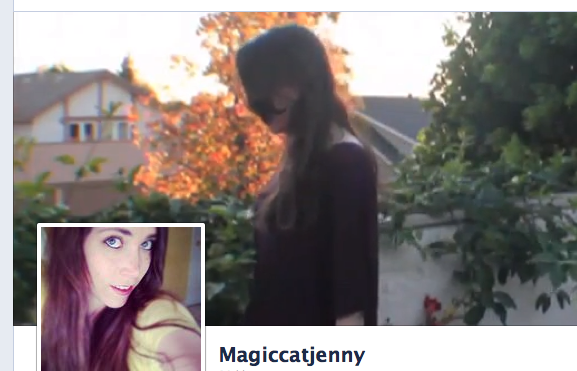 Now I am MagicCatJenny everywhere on the internet. Easy to find, easy to remember. My goal is to gain back the same number of 'fans' (291) and then I'll hold a contest. I can't hold it on Facebook due to their TOS but it will relate in a way to the site. I'm thinking of something like a social media scavengers hunt. So if you 'liked' my old Facebook page, feel free to 'unlike' it and go 'like' THIS ONE!